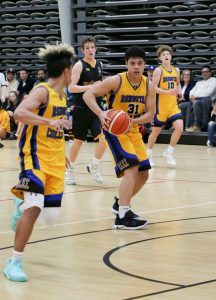 The Senior A basketball side continued their good start to the season beating Wellington College 83-68 last Friday. They are currently leading the Wellington Competition with 3 wins from 3 games. While this team has many great players, you should check out the video highlighting Finn McClure’s role in this game on the school’s facebook page. The Junior A basketball side also won their match this week 63-46 against St Patrick’s, Silverstream. In badminton results, the Senior A side lost against Newlands 4-2 last Friday, while the junior A side lost yesterday against Wellington College. In hockey, the 1st XI won a high scoring game against Wairarapa College 5-4 and remain unbeaten after the first two rounds of the premiership. They are currently sitting in 3rd place in the Premier grade. The football 1st XI suffered a 3-1 defeat against St Pats (Town) and will need to win their upcoming games to remain in the hunt to qualify for the Lotto Premier National Tournament in September. The 15 Gold side had a week off due to ground closures. The rugby 1st XV also had a week off, having played the traditional at Silverswtream mid-week. Despite putting up a good fight and playing well against Wellington College, the U15s unfortunately went down 34-10. The Rongotai A Table Tennis finished their season in 3rd place in Division 1 after beating Scots College 4-3 in the 3rd/4th playoff match on Tuesday. 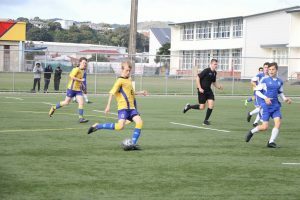 Congratulations to Rongotai 5 and Rongotai 6 teams who faced each other in the final of Division 3. Rongotai 5 emerging victorious after a 4-3 win. It has been a great table tennis season and fantastic to see many new players joining in this year. Thanks Mr. Norman for all your work with table tennis this season. Yesterday, Mr Noble and Mr Cutler took a 9-strong Rongotai College swim team to the CSW Individual Champs at Naenae Pool. Swimming continues to gain popularity at Rongotai College. Sam Brown had an exceptional meet claiming gold medals in the 100m Individual Medley and 200m freestyle events, while also picking up two silvers in the 50m backstroke and 100m breaststroke for the 14 and under age group. Sam set four new Rongotai swimming records. In the over 15 age group, Che Pulepule achieved bronze medal placings in the 100m Individual Medley, 100m breaststroke and 100m freestyle, breaking his own 100m freestyle record in the process. Special mention must also go to Year 9 Jacob Timmins who broke the Rongotai records for 50m breaststroke and 100m backstroke in the 14 and under category. Congratulations to the six boys who have been selected for the NZ U19 Men’s Floorball side for the upcoming World Cup Qualifying games against Australia and Japan in September. To have a total of 6 students in this side is testament to the continued strength of the sport within Rongotai College. Well done to Jack Cobden-Cox, Louis Scott, Alec Stewart, Tim McKibbin, Liam Fisher and Jackson Lewis for their selection.